I will be sharing with you today, a song that I have loved for years… A song that reminds me of the depth of God’s love for me and mankind generally. This song by Cece Winans touches my spirit in a special way. Jesus gave up His glory to identify with people of low estate. …He died so that we might have life. 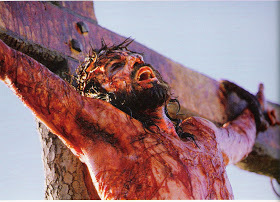 And the thought of how much pain Jesus experienced because of me keeps me in awe of His unfathomable love. Don’t let His suffering over you go to waste. Accept Him as your Lord and Saviour today if you haven’t. Re-affirm your love for Him today if you already have Him in your life. Live a holy life and don’t take the death of Jesus for granted! See the lyrics of the song below and click on the media icon to play and listen.